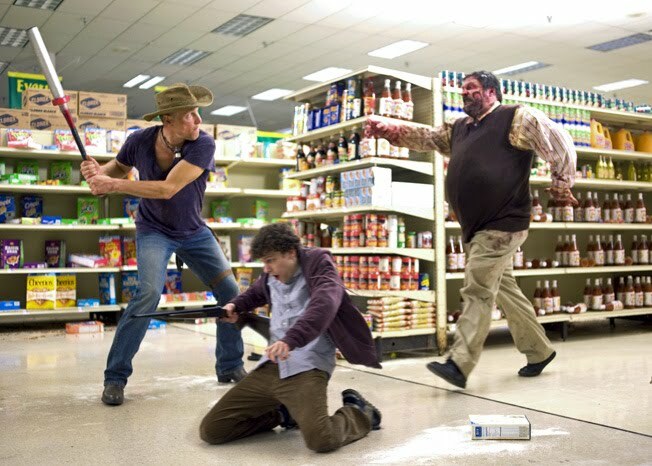 An Americanized version of Shaun of the Dead. Made for anyone and everyone who can handle awesome and comedic, gross and over-the-top zombie killings and zombies killing, as well as anyone who dreams of there one day really being a zombie outbreak. Humans are no longer the dominant beings in the U.S. – zombies are. I recommend you stop watching trailers, television and online spots. those are the things people will be talking about after seeing it. Nut-up or shut-up. Go see Zombieland immediately. It’s bloody, disgusting, creative and hilarious! I promise you that you wont be disappointed in the slightest.